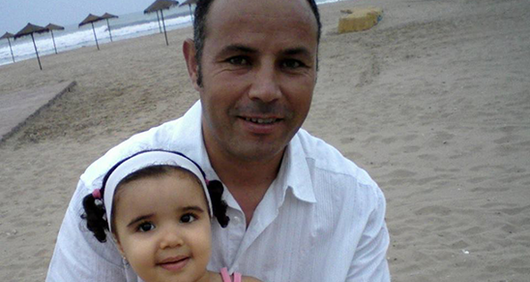 Ali Aarrass is a dual Belgian/Moroccan national who has been detained since 2008, first in Spain and then later in Morocco, where he is serving a 12-year sentence based on his confessions obtained under torture. Ali Aarrass is a dual Belgian/Moroccan national born in the Spanish territory of Melilla, at which time Morocco was the only nationality he could claim. He later joined the rest of his family in Belgium where he lived for a significant time period and gained Belgian nationality. He was arrested in Spain in 2008 on an international arrest warrant from Morocco for allegedly being a member of a terrorist organisation. He fought extradition and appealed to the UN Human Rights Committee, who issued an interim measure to halt the extradition given the serious risk of torture. Despite this, and the dropping of the charges against him, he was extradited to Morocco in 2010. He was held incommunicado and alleges that he was repeatedly tortured for 4-5 days, after which he signed a confession in Arabic (which he doesn’t speak). His family only became aware that he had been extradited to Morocco from a news article they read. In the immediate weeks that followed, Ali was unable to talk about the treatment he endured or make a complaint, out of fear of being tortured again. 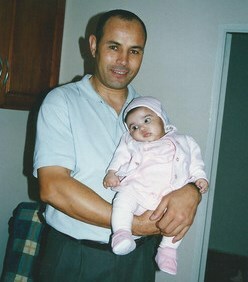 He ultimately made several complaints of ill-treatment before the Moroccan courts and the National Human Rights Council. Numerous requests from Ali for a medical examination were refused. When an examination was finally undertaken, it found evidence of torture. He is currently serving a 12-year sentence based on his confessions obtained under torture. He alleges that he continues to be subject to torture and harassment while imprisoned in Morocco, and has repeatedly asked for consular visits from Belgium, who initially refused to intervene claiming the general principle of non-intervention for dual nationals and absence of proof of torture. The UN Working Group on Arbitrary Detention published in October 2013 an opinion requesting his immediate release and compensation. The UN Human Rights Committee decided in 2014 that there had been torture. The UN Committee against Torture also decided in 2014 that Morocco violated the Convention against Torture by convicting him using evidence obtained under torture and by failing to provide a medical examination in compliance with the Istanbul Protocol. Ali’s Belgian lawyers launched a case in Belgium to try to force the State to intervene to assist him, but in September 2017 the Court of Cassation finally found in favour of the Belgian Government. The Court stated that it was to be left to the Government’s discretion whether and what assistance to provide to Mr Aarrass, and that the Belgian Government had no obligation to assist him. In March 2018, Ali’s Belgian lawyers launched a case in the European Court of Human Rights to challenge the decision of the domestic court in Belgium, based on Article 1 (right to life) and Article 3 (prohibition on torture) of the European Convention on Human Rights. The above steps were all undertaken before REDRESS became involved in the case. As a result of a request from Fair Trials, in September 2018 REDRESS made a third-party intervention before the European Court of Human Rights case, dealing with the question as to whether, in a situation where there is a risk of serious injury to physical and moral integrity, a State has a positive obligation to provide consular protection to try and put a stop to the inhuman and degrading treatment being received by one of its nationals in another country. UN Committee against Torture decision, 19 May 2014. Finding of torture. Third-party intervention, 24 September 2018. Case pending.